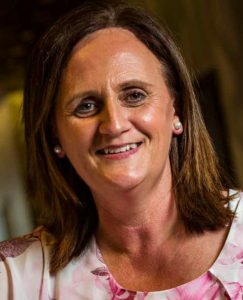 Andrea Cannon joins the Think Pink Foundation with a wealth of Breast Care Nurse knowledge and experience, having worked in the Public, Private and Community health care sectors. While at The Cancer Council of Victoria Andrea worked in collaboration with a variety of organisations. She was one of the first National Accredited Breast Care Nurses and instrumental in initiating the first National Breast Care Nurses Conference. She then coordinated many conferences in the years to follow. Andrea was awarded the Hesta Nurse of the Year award and the Jean Rusden Award in 2000 while working at Peter Mac. Andrea has established support groups, education sessions, participated in research projects and believes strongly in evidence based practice. Andrea is excited to be joining the dynamic team at the Think Pink Foundation and looks forward to empowering the women, men and broader community with the vast variety of resource, and information opportunities at the Living Centre.